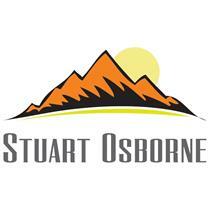 S Osborne Central Heating Services - Central Heating Engineer, Plumber based in New Haw, Surrey. Welcome to my Checkatrade Profile and thank you for taking the time to look into my details. This is my one stop shop to provide you with a Natural Gas Central heating system or boiler replacement that is efficient, affordable and gives you the piece of mind it has been installed and commissioned correctly and will give many years of reliable service. I am a Vaillant, Gloworm Advanced installer but I can also fit any other make of boiler you require. As a Sole Trader my focus is to give friendly and professional advice and service to my customers. This has led to lots of further work from my clientele, and a growing repeat order customer base for which I am thankful and proud of. I am also an Experienced 17th Edition Electrician and have Self Certification Status with ELECSA. I hope you have found my profile of use to you and look forward to being of service to you on the near future. Please note I am not VAT Registered. Addlestone, Woking, Isleworth, Leatherhead, West Byfleet, Surrey. All KT, GU and TW postcodes I am happy to cover.